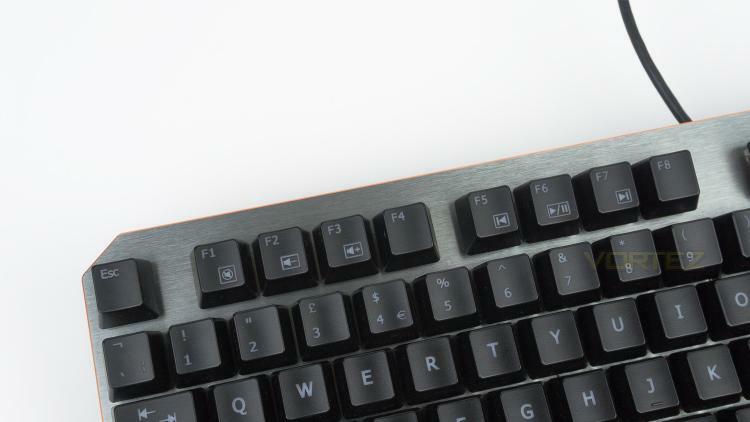 The AORUS K7 is relatively compact for a full-sized keyboard as it measures in at 440mm (L) x 150mm (W) x 40mm (H). 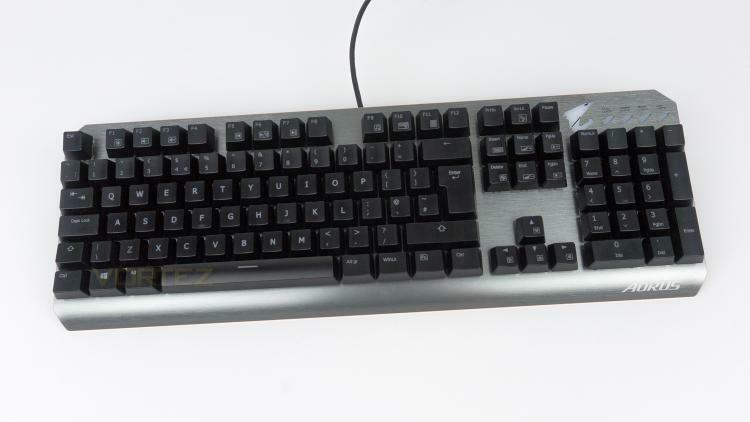 The main key layout is nicely organised while being well spaced; there is also a full-sized number pad if you plan to use the K7 for more than just gaming. 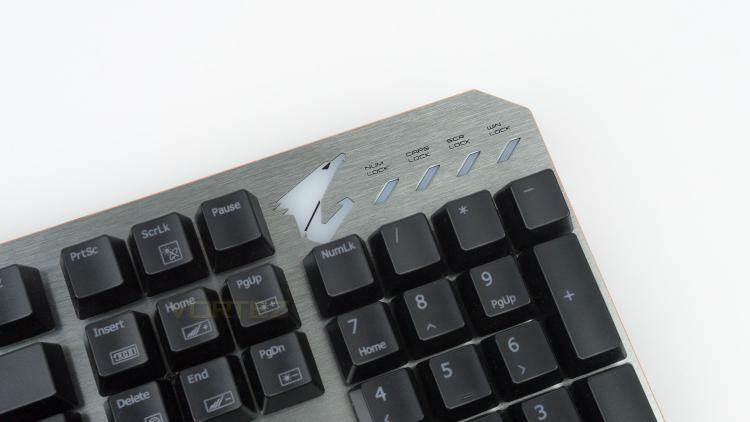 At the top right of the keyboard there is the AORUS logo and additional LED’s for the num lock, caps lock, scroll lock and win lock. 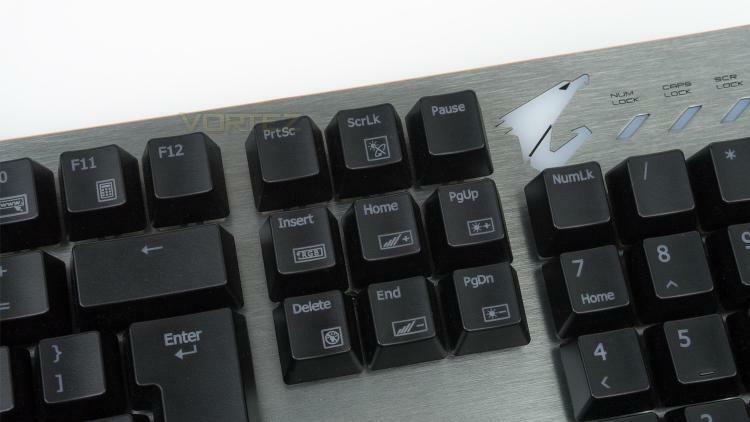 The AORUS logo does feature backlight illumination and works with the lighting effect set via the software. The top left features the media controls that can be used in conjunction with the Fn key. The media keys are F1, F2, F3, F5, F6, F7 and F9. Towards the right side of the layout, the ScrLk, Insert, Delete, Home, End, PgUp and PgDn keys are used for controlling the lighting. These again work in conjunction with the Fn key.